From temple and sculpture art to frescoes and jewelry, Indian art comes in many forms, but painting has one of the longest traditions. Dating back to the rock paintings of prehistoric times, Indian painting has evolved greatly since early murals depicting Buddhist and Hindu themes and miniatures illustrating Buddhist divinities and scenes from the life of the Buddha. Mughal painting, Tanjore painting, the Bengal School of Art, and other styles—as well as the influx of Western ideas during the colonial period—have all influenced modern techniques and concepts, and the increased discourse on Indian painting in the last several decades has propelled it to a central place in the international art market. Comprised of artworks from a private collection, this book features outstanding works of Indian painting spanning seven centuries, from the time of the Sultans to the nineteenth century. For collector Danielle Porret, the painting form her own “secret garden” of art, compiled on the basis of personal taste and passion. The 105 selected works are accompanied by essays from leading experts in the area of Indian painting: G. N. Goswamy, who studies Pahari painting; Jeremiah P. Losty, who explores the painting of Rajasthan and central India; and John Seyller, who examines Mogul and Dekkan painting, as well as the painting created during the Sultan era. 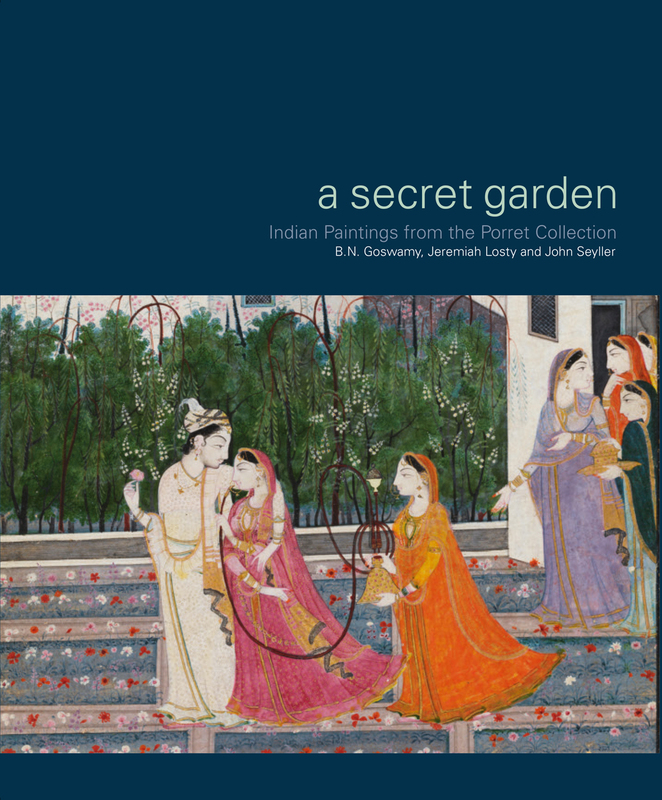 Featuring gorgeous full color art, A Secret Garden is a fascinating look at both the history of Indian painting and the experience of art collecting.